BANGI, 9 July 2012 – Major government projects that affect the community need the input of Social Sciences and the Humanities researchers to gauge the people’s reaction so that adverse repercussions can be mitigated or even avoided. Pioneering Social Science researcher at The National University Of Malaysia (UKM), Distinguished Professor Datuk Dr Shamsul Amri Baharuddin said scientists and technologists should listen to the advice of social scientists to give consideration to the human side of development. 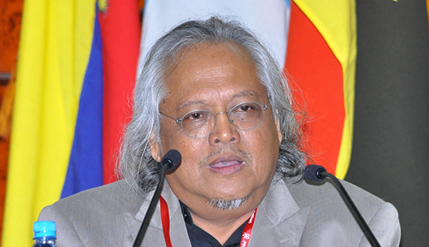 Prof Shamsul Amri, who is the Founding Director of the Institute of Ethnic Studies (KITA) at UKM, said research done by the social scientists are aimed at preserving peace, stability and social cohesion. Delivering his keynote address The Long and Winding Road: Embedding Social Science in the National R&D in Malaysia at the 8th International Malaysian Studies Conference (MSC8) here today, he cited the phenomena of the unprecedented anger over the Lynas plant in Gebeng, Kuantan. Prof Shamsul Amri said if the authorities had consulted social science researchers, the unexpected reactions could have been anticipated and damage-control efforts planned. The flamboyant Prof Shamsul Amri, fondly known as Shamsul AB, said part of the reason of the oversight is the dominance of technology at the expense of human development. He lamented that on the whole researchers in the social sciences and humanities felt that they have been marginalised owing to the highly dominant position of science and technology. He expressed regret that even now some policy-makers look upon the field of social sciences as “not the real sciences” because the results of the researches are not artefacts or tangibles like technological objects. He urged that social scientists be integrated into research and development along with the technologists and engineers calling for more funds and grants be allocated to researches in the social sciences and humanities. Prof Shamsul Amri, said social scientists have been left out of the loop because the decision-makers think that the humanities and social sciences are not needed in material development that involved the natural sciences and engineering. He warned against being complacent in areas of material development, adding that peace and stability are not something that can be taken for granted. He said the social cohesion in the country is not just “plain sailing” and must be studied to detect anomalies. This, he said, needs a higher level of monitoring exercise, which in turn, necessitates large scale nation-wide and sustainable research. However, he also praised the government for establishing the Malaysian Social Science Association in 2007 and is expected to be officially endorsed by Parliament this year. 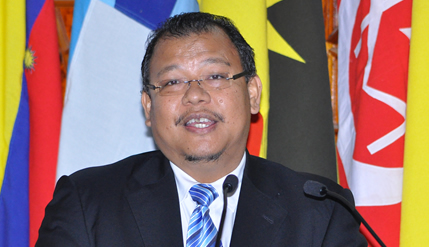 Prof Shamsul Amri is one of the three Distinguished Professors appointed in 2010 by the Higher Education Ministry, the first ever in the field of social science. In 1978, as an Honorary Secretary, he helped to register The Malaysian Social Science Association with the Registrar of Societies. About 35 years later in 2009, he was elected as the Pro-Tem Chair, Academy of Social Sciences and Humanities (ASAH), which is now awaiting endorsement by Parliament. The three day biennial conference was officially opened by UKM Deputy Vice-Chancellor (Academic and International Affairs), Prof Datuk Dr Noor Azlan bin Ghazali today. It is attended by some 160 social scientists from all over the World. In his opening remarks, Prof Noor Azlan suggested that the curricula for pure sciences and engineering in universities be reviewed to include more electives in Arts and the Humanities. He said science graduates should be more well-rounded and learn more about History and Geography. He also urged researchers in Social Science to study the effects of mass migrations on society pointing out that the foundations of society in the country have changed over the years with urbanisation completely transforming the way people interact with one another. Despite living in highly populated city centres, many people feel isolated and are losing the sense of community they had in the kampungs, Prof Noor Azlan said.